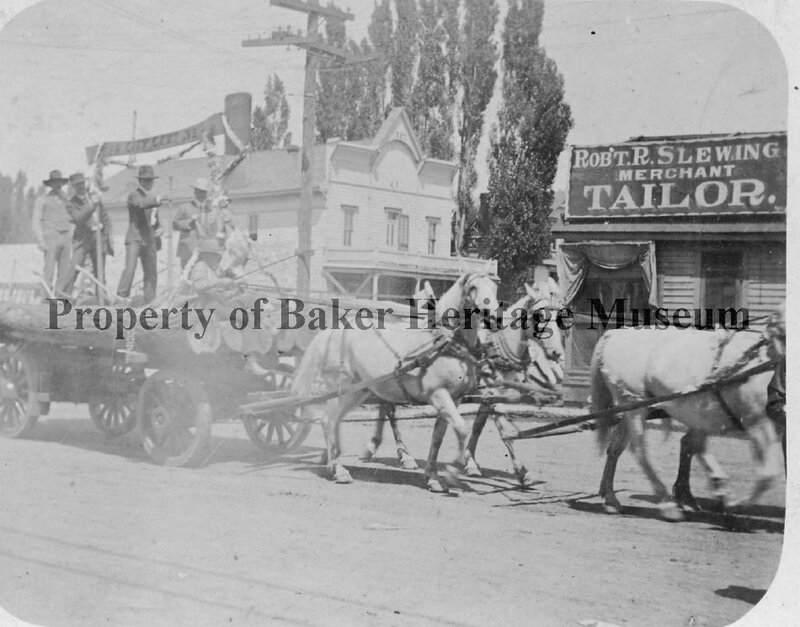 Parade float, c.a . 1890. 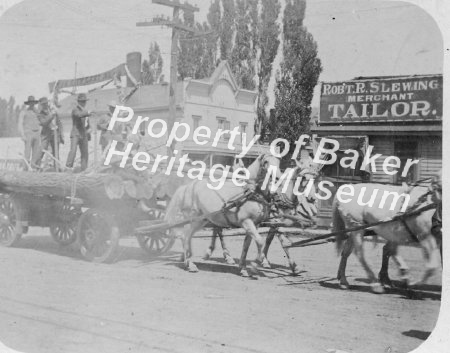 Probably Baker City. Float banner advertises Green City, CFBT #42. Float features log axes and 2 man cross cut saw. Wagon has wooden wheels and spokes. Shop pictured Robert L. Slewing Merchant Tailor.